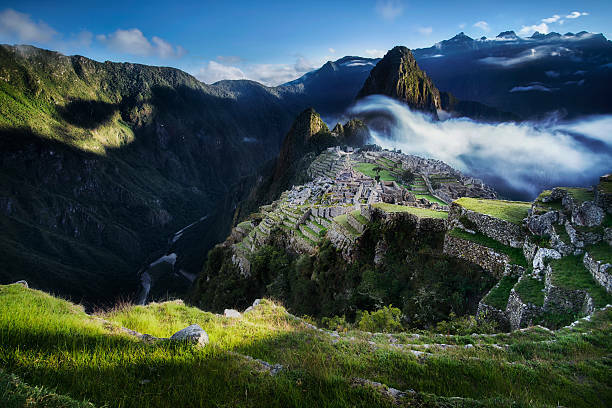 In recent years Machu Picchu often made headlines due to strikes not allowing people to visit Machu Picchu. For a lot of people visiting Machu Picchu is a once in a lifetime experience and the main reason to come down to South America. Therefore it is of course unimaginable that due to local mostly political issues one would not be able to see the highlight of their trip. In the following paragraph’s we would like to provide some context with all this. From our experience once or twice a year there is a social conflict between (mostly) local worker’s unions’ such as teachers, public transportation, or student organizations and the federal or local government. This is mostly about increasing prices or wages demands. This often falls on deaf ears with the government and therefore more extreme measures are being taken by these groups. Without thinking too much about the consequences one course of action is to take the airport, obliging the authority to close the airport and with this restrict incoming tourists. Another course of action is blocking the train rails or roads to and from Machu Picchu. This means that people cannot travel between Cusco and Machu Picchu or the Sacred Valley. The “idea” behind this is, that by disrupting tourism to a region where almost 75% of people directly or indirectly live from tourism, the pressure on the government increases to give in to the demands of the organization on strike. The fact that this provokes negative feeling and frustration with the rest of the population is something is that is often overlooked. In some cases travel agencies and operators receive a heads up 24 or 48 hours before the strike so measures can be taken. In some rare cases these strikes can appear spontaneously. If you would have the bad luck of being “trapped” due to a strike, it is strongly recommended to follow the instructions of your travel agent or other operator you may be traveling with. In general it is best not to try to travel around the strikes or even worse try to get to Machu Picchu on foot or your own account as this may prove to be risky. Apart from the usual risks of embarking on an adventure like this the additional risks is that you run into an issue with the strikers. It is uncommon for these strikes to turn violent but nevertheless it is best not to take any risks. If the road is blocked do not try to pass anyway. Agreed; this is all very unreasonable and very frustrating for those having spent hundreds of Dollars to see Machu Picchu and not being able to see this marvel of the Andes but we would like to urge you to see this from another perspective as often the poorer people do not see any of the benefits tourism can bring and the local context of corruption and lack of transparency does not allow the local population to consider the true impact of their actions. When traveling with a reputed agency or organization in 99% of the cases they will be able to make adjustments to your itinerary minimizing the impact of the strike on your itinerary.